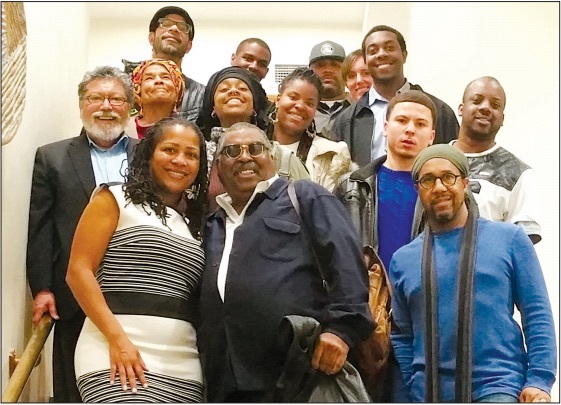 The last time we were all together, we talked about the possibilities raised by a City of Oakland proposal to create a Black business and arts district in the city’s downtown area. Let’s talk, today, about where that proposal currently stands, and how it got to this point. According to Oakland Third District Councilmember Lynette McElhaney, whose district contains the city’s downtown area, she the genesis of this idea goes back four years. Those meetings—which involved a loose collection of local cultural and movement activists which McElhaney’s office formed and named the “Black Culture Keepers Advisory Group”—initially settled on a name for the district of the Black Business and Arts District. At the same time Ms. McElhaney’s Black Culture Keepers Advisory Group was meeting to begin the creation of the Oakland district, the State of California was working on plans to provide additional support for the creation and operation of such cultural districts throughout the state. In the fall of 2015, the state legislature passed and the governor signed AB 189, a bill that expanded the ability of cultural districts—such as the one Ms. McElhaney and her advisory group were proposing for Oakland—to apply for official state recognition from the California Arts Council, after which the Arts Council would “provide technical assistance” to these districts as well as "solicit and receive gifts, donations, bequests, grants of funds, or any other revenues, from public or private sources” on their behalf. Here’s where the story gets a little complicated and, um, Oaklandish, so wake up the ones in the back who have begun to nod off, and follow close. As Ms. McElhaney indicated in her June, 2016 email to Marvin X, Marvin had already been working on a proposal for a “Black Arts Movement” district in Oakland even before he merged his efforts with Ms. McElhaney’s. 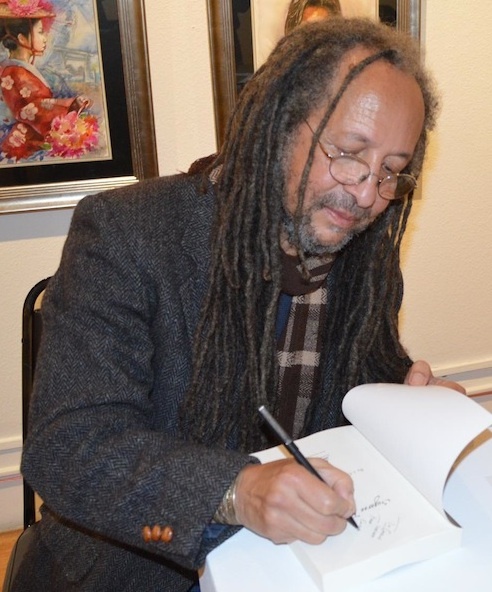 Sometime towards the latter part of 2015, Marvin X and some of his allies and supporters began a lobbying effort to get Ms. McElhaney to change the name of her effort to include the “Black Arts Movement” name. The use of the term “Black Arts Movement” was intended for the new Oakland district to be directly connected to and associated with the important and influential revolutionary African-American cultural movement that ushered in the Black Power era fifty years ago. Anyways, according to noted African-American literary and historical scholar Kalamu Ya Salaam, the San Francisco Bay Area was one of the major centers of the original Black Arts Movement. The Bay Area was one of “the two major locations of Black Arts' ideological leadership, particularly for literary work,” Ya Salaam wrote in a 1995 essay reprinted in Modern American Poetry (“Historical Overviews of the Black Arts Movement”). “[One of] the only major Black Arts literary publications to come out of New York [was] Black Dialogue, which had actually started in San Francisco (1964-1968). Describing the origins of the Bay Area branch of the movement, Ya Salaam wrote that “in 1967 LeRoi Jones [later to become known as Amiri Baraka] ... met Bobby Seale and Eldridge Cleaver and worked with a number of the founding members of the Black Panthers. Additionally, Askia [Muhammad] Touré was a visiting professor at San Francisco State and was to become a leading (and longlasting) poet as well as, arguably, the most influential poet-professor in the Black Arts movement. Playwright Ed Bullins and poet Marvin X had established Black Arts West, and Dingane Joe Goncalves had founded the Journal of Black Poetry (1966). This grouping of Ed Bullins, Dingane Joe Goncalves, LeRoi Jones, Sonia Sanchez, Askia M. Touré, and Marvin X became a major nucleus of Black Arts leadership” in the Bay Area. From this history, one might be able to draw their own conclusions as to why Marvin X and his supporters felt it important to have the newly-forming Oakland Black business and arts district to include the “Black Arts Movement” name. In any event, the lobbying campaign that brought about the district name change was both intense and, at times, accusatory against Ms. McElhaney. And there, on the city level, at least, the BAMBD all but disappeared from public view. Normally in American-style government, once a legislative body such as the Oakland City Council approves a measure, it goes to the executive branch—in this case the Oakland mayor’s and city administrator’s offices—for implementation. A recent call to the city administrator’s office about the current status of the BAMBD, however, oddly resulted in a referral back to Councilmember McElhaney for any information on how the district was being set up. A followup call to Ms. McElhaney’s office resulted in the information that the 3rd District councilmember’s office was, indeed, taking the responsibility to develop a plan for implementing the Black Arts Movement and Business District, a representative for the office saying that severe staff cuts in the city’s Cultural Affairs Department (from 20 fulltime staff members down to two fulltime and one part-time) had made it a practical impossibility for the city administrator to do any work on the project. McElhaney staff representative added that the Councilmember’s office is actively working on the implementation BAMBD, and in an email to Marvin X in November of last year (reproduced below in this column), Ms. McElhaney herself gave some examples of what specific steps were being taken. But the fact remains that a year after the Council authorized the creation of the BAMBD, there is, as yet, no tangible, physical evidence that subsequent city efforts at any level have moved the project significantly forward into something the general public can see and touch. At the same time that action on the part of the city appeared to be moving at a snail’s pace, at least as far as the public could observe, Marvin X and his followers were going like gangbusters on the BAMBD implementation front, to use a phrase common in my parents’ time. Almost immediately following Council creation of the BAMBD, a broad collection of Black Oakland political and cultural leaders and activists led by Marvin X and Lower Bottom Playaz theater group founding director Ayodele Nzinga—assisted somewhat in the background by Oakland Post publisher Paul Cobb—created an organization under the name “Oakland Black Arts Movement and Business District”—the same name as that of the city-authorized cultural district—and, in that name, have spent the last year busily trying to implement their vision of the BAMBD. 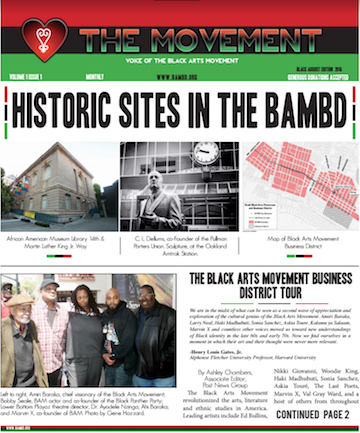 Under the BAMBD name, the Marvin X/Nzinga/Cobb group created an online and print newsletter, held several “town hall” type meetings both within the downtown boundaries of the district and in other parts of Oakland to promote interest in and implementation of the BAMBD, and have even conducted negotiations with developers with upcoming real estate projects in the downtown area in order to extract community benefits specifically for the BAMBD. Whether the developers intend any benefits granted to go to the Black citizens version of the BAMBD or the city-authorized version of the BAMBD is currently unknown. And if that sounds like it might be confusing—having both an independent, self-authorized citizens’ group and an official city district simultaneously using the same name—it actually was and is confusing, and promises to be even more confusing if and when the official city district of that name actually gets off the ground. Meanwhile, that alliance between Councilmember McElhaney and the “Black People’s branch” of the BAMBD (as opposed to the official, city-sponsored BAMBD)—which had begun to unravel during the activists’ lobbying campaign to change the district’s name—widened into a complete breach. “There is no established budget for the District. ... My staff is researching concepts from around the country that we will share with the Black Culture Keepers group. ... As of now there are no funding sources that are under Council control for any project and there is not one established for the BAMBD. ... The street vendor proposal is included in the downtown specific planning process. “In addition to the issues you cited, the Black Culture Keepers made two specific projects priority; namely the rehabilitation of the Malonga Casquelourd Center for the Performing Arts ($5-$10 Million for full restoration and upgrade to the theater plus upgrades to the residential units and offices) and the expansion of hours and programming at the African American Museum and Library. Both of those efforts are underway and we've worked diligently to secure funding commitments from developers that are bringing projects to the corridor. So that has left us with two entities—the City of Oakland (represented in this case by Councilmember McElhaney) and a group of Black cultural activists—using the same name, Oakland Black Arts Movement and Business District, supposedly working for the same goal—the creation of a Black business and arts district in downtown Oakland—but openly feuding and working at cross-purposes against each other. Typical Oakland, some might say. But it’s not as hopeless as it sounds. Unfortunately, we’ve run out of both time and room, for now. Next time we talk, however, some thoughts and ideas and suggestions on how we might work our way out of this little difficulty and get ourselves (back) on the road to implementing the grand vision of a downtown Oakland Black business and arts district as it should be.